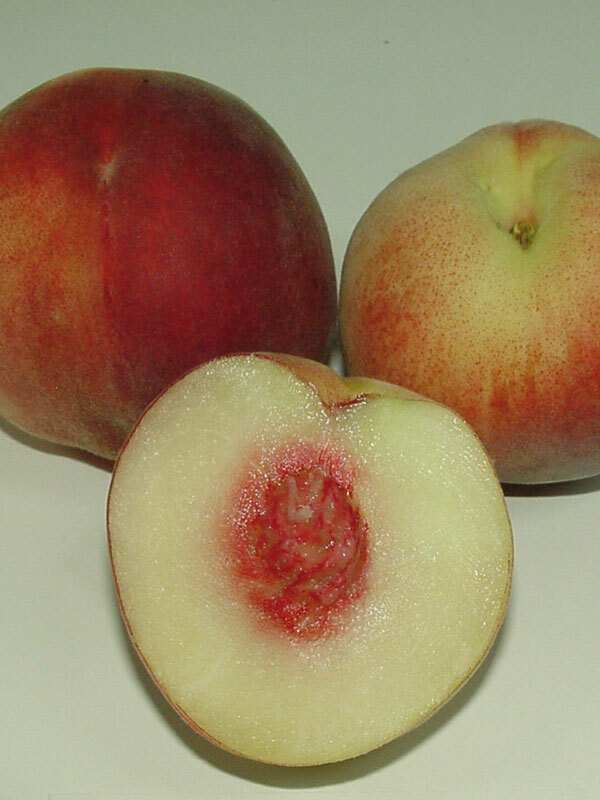 A sweet juicy, low acid, white-fleshed peach. Prolific cropper with good-sized, round, red-blushed fruit. Clingstone.